Rare Earth magnets include alnico magnet, neodymium magnet(NdFeB) and samarium cobalt magnet (SmCo magnet) that slowly has replaced with ferrite magnets. Even if the cost of rare earth magnets is expensive than ferrite magnet, industries still prefer to rare earth magnets because of the power strength, stability, permanent property, standing high working temperature. Most rare earth magnet are used for Audio equipment, magnetic separator, Magnetic machinery, automatic control, and microwave communications. Our company can manufacture high quality magnets for military, Aeronautics. Welcome your inquiry, we will offer best quotation and better service for you. 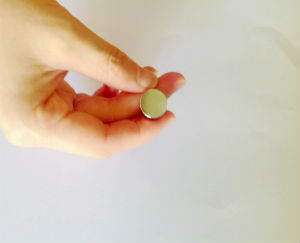 It is unimaginable that there is large demand of rare earth magnets in environmental technology and military technology. Lanthanum, neodymium and cerium is important elements and large demand for rare earth , mainly application of rare earth magnet is for wind power generation equipment, rare earth magnet is responsible for power generation turbines with magnetic motor, the motors need to use rare earth. Military usage: It is often heard that the so-called 'smart bombs', as well as stealth bombers, need to use rare earth magnets.